You got a little something on you face, a little schmutz of something, a little Smudge…smothering you with kisses! Hehe! 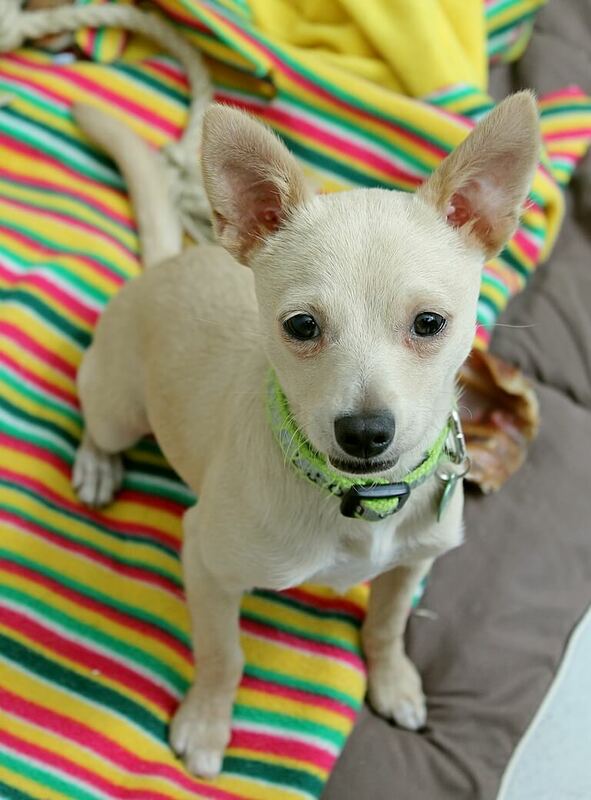 The name is Smudge and I am an adorable 5 month old Chihuahua/Terrier puppy with a guesstimated adult weight of about 10-15lbs. 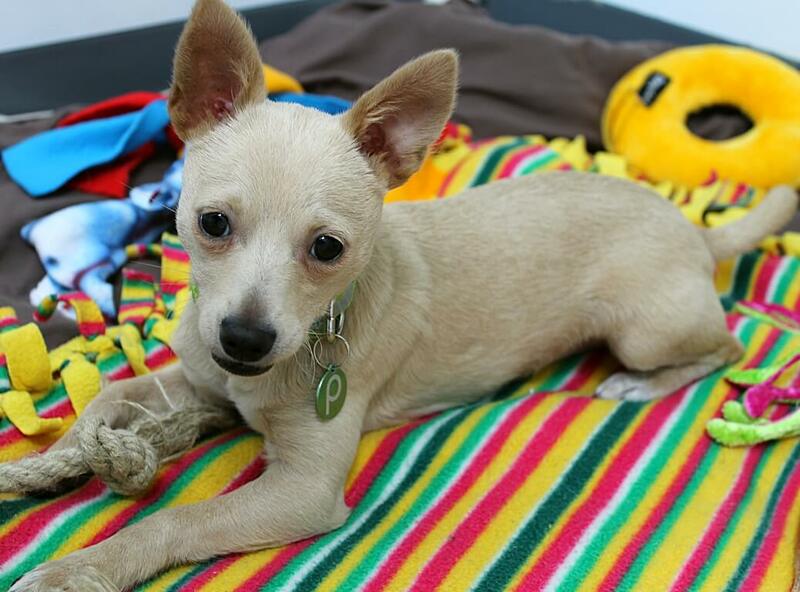 But for right now, I am a little pint size pup ready to learn more about the world and play with all my friends! I am hilarious gal who is exuberant and ready to explore. I have already met some magnificent doggy pals here at Pixie. My buddy Sammy and I just run around the play yard playing chase games. And I am even super social to those savvy kitties too. Since I am in a big phase of life where I am learning so many new things, I really need to be with kids over 10. PUPPY CLASSES ARE MANDATORY FOR MY ADOPTION! Toys seem to be my favorite thing right now, and I just love playing with those squeaker ones that the volunteers give me. 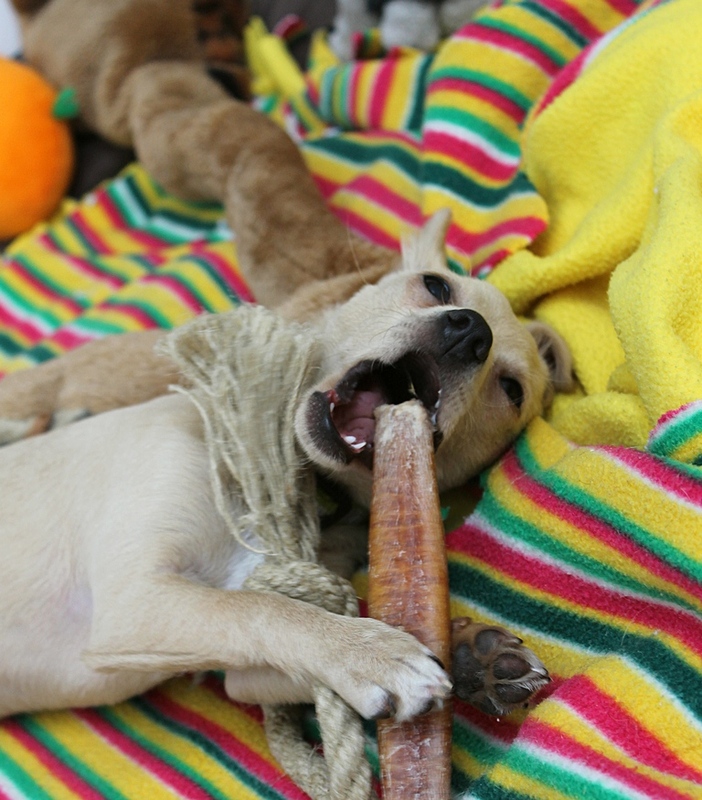 I am a sweetie and my charming puppy antics are sure to make you smile! Fill out an application today, so we can meet! I come to you micro-chipped, spayed, vaccinated with an adoption fee of $400.